Go on a voyage where you re-energize and re-connect with yourself. Step within these comely white walls, adorned by beautiful adjacent beach tiles, and let this ambience be your driver for a transcendent journey. The box type wall mounted flush and the slanting edged mirror is all welcome. 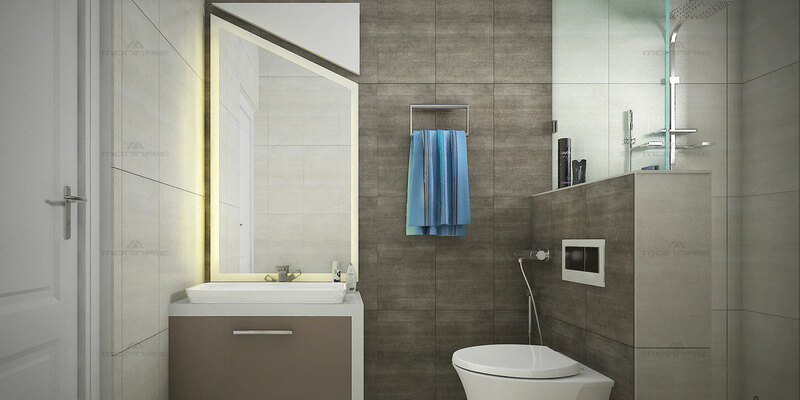 The textured wall tiles and modified hand spray are just enhancing the look of simplicity. The half wall partition from the shower area is mostly effective with the maintenance and effective space utilisation.